The Missoula Community School is a non-profit educational community, created in the spring of 2001 by a group of teachers and parents. MCS is governed by a Board of Directors made up of no fewer than 5 members and no more than 12. Board members serve a two-year term, with an option to request re-election to a third year if desired. The MCS Board meets on the second Tuesday of every month (except July). Meetings are held at 6pm, the 2018-2019 meeting venue will be posted at school. Meetings are always open to parents, and input is welcome. Dave Kuhnle (Co-President): David Kuhnle moved to Missoula in 1996 after graduating from Randolph-Macon College in VA. Originally from Louisville, he came to Missoula to attend Culinary school and to enjoy the wonderful outdoors that Missoula has to offer. Dave started his career here as a Chef after graduating from the College of Technology Culinary Arts program in 1997, with jobs at numerous restaurants around the area. He has been involved in Real Estate in the area for over 18 years, and is always interested in helping to improve this wonderful place we all call home. Dave counts himself lucky to have a wonderful wife of over 13 awesome years, and as they started to have a family over the past 4 years, they have been absolutely impressed with the staff and atmosphere of Missoula Community School. This provided Dave with a reason to join the board, so he could help continue the vision and progress that the school has made. Dave has been amazed to watch his child transform over the years while she has been enrolled in the school program and he hopes to expand and continue the beautiful bonds that are formed with the families and children of MCS. Peter Agne (Co-President): Pete is 43 years old and grew up just outside New York City. After moving to Missoula to attend UM, he became a diesel mechanic for a local John Deere shop primarily working on large tractors. Pete joined the board because he appreciates the values that embody the school and wants to help out where he can. Pete, along with his son and wife, all love MCS! Jacque Currie (Treasurer): Jacque grew up in Power, MT and moved to Missoula Christmas of 2007. She graduated from the University of Montana with a degree in Health and Human Performance and currently works for Missoula Early Head Start (along with another important job- mom). Jacque’s family joined MCS in 2013 and she later joined the board of directors in spring 2015 to focus on parent involvement. She feels this is an important component of our school that helps it run smoothly. Her family likes to take advantage of all the events that happen around town, especially things in Caras Park. Sara Jones (Secretary): Sara Jones grew up in Colorado and moved to Missoula for graduate school in environmental studies in 2002. 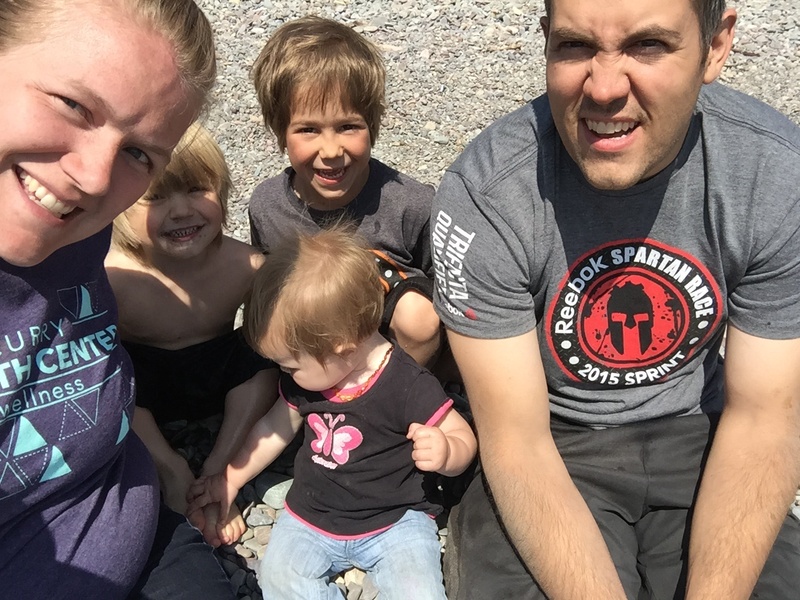 Sara and her husband, Matt, with their two children, have enjoyed their time at MCS. Sara has joined the board in order to support and give back to the community of MCS for many years of mindfulness and kindness. Picture coming soon! Erin Saldin (Board Member): Erin Saldin grew up in Boise, Idaho, and moved to Missoula after more than a decade on the east coast and abroad. A former Peace Corps volunteer in West Africa and bartender in New York City, Erin is now a young adult novelist and a Lecturer at the Davidson Honors College at UM, where she teaches honors courses and creative writing. Erin and her partner, Rob, have two little girls, and they all enjoy adventuring in the mountains, playing in the mud, hiking with their dog, and eating cupcakes. Passionate about the outdoors and service to one’s community, Erin joined the board in order to support MCS and its focus on mindfulness, creativity, exploration, and kindness. Melissa Lanman (Board Member): Melissa Lanman was raised in Idaho and received her Design & Business degree from the University of Idaho in 2000. She finally made her journey back to the Northwest in August 2018 after having lived in Seattle, New York, and San Francisco over the past 19 years. Melissa’s passions are design, health & wellness, and cooking for her family. She currently is an enthusiastic stay at home mother to her three year old daughter Teddy, but in her spare time continues to consult in the design and beauty industries. She along with her husband Fritz, and daughter Teddy, are thoroughly enjoying all that Montana has to offer from fly fishing, skiing, delicious restaurants, and renovating their very old house. MCS has had such an immediate positive influence on her daughter’s life that she wanted to join the board to support the school and spread the word about MCS’s amazing philosophy and community. MaryPat Hertz (Board Member): Bio and picture coming soon! Clark Towers (Board Member): Bio and picture coming soon!